A dark comedy, a love story, a puzzle box to crack open — "Russian Doll" is all these things and more, but each piece is goddamn brilliant. When one encounters a matryoshka, more commonly referred to as a Russian nesting doll, the instinctual response is to unpack it. Carefully twist the outer doll, lift off its top, and look at the slightly smaller figure underneath. The process repeats until you get to the core: the smallest doll, but the only one that doesn’t twist open and reveal anything else. It’s the nucleus — the soul, even — but it’s also there to steady every other layer. Then you repack the dolls together, filled with understanding and admiration for the hidden bounties inside. 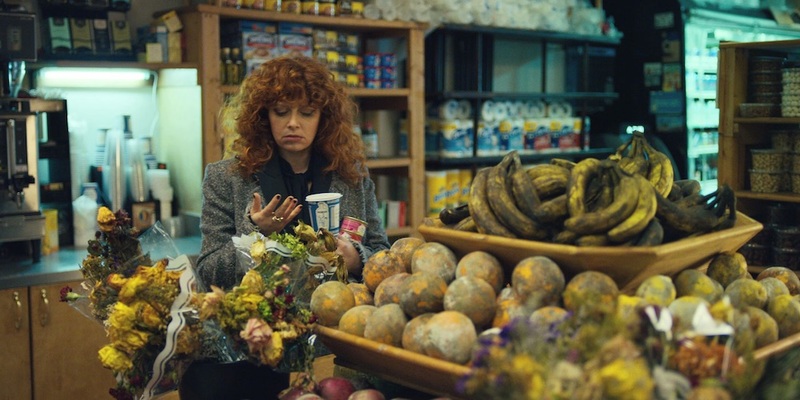 This experience is exactly what you’ll feel while watching “Russian Doll,” Natasha Lyonne and Leslye Headland’s new Netflix series (with an assist from Amy Poehler), which treats its subjects like matryoshkas in need of thorough examination, delicate handling, and deserving the utmost love. To say anything about the plot would be to spoil the fun of that initial reveal — what’s inside the first shell of this half-hour, eight-episode so-called “dramedy” isn’t what anyone would expect. Not exactly, anyway, but rest assured it’s beautiful, intricate, and intimate. 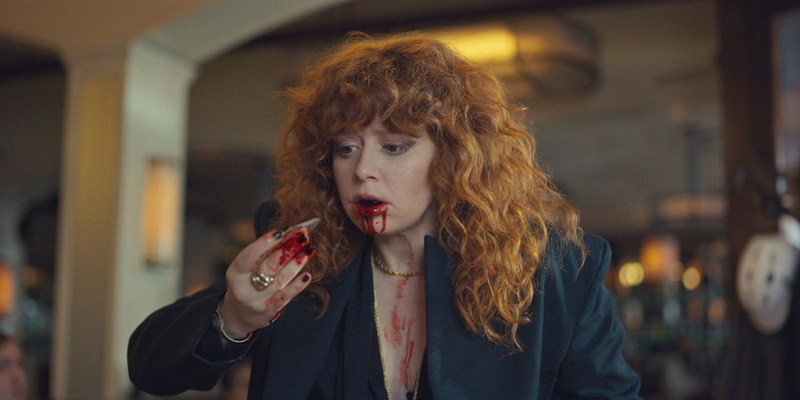 Even from a fast, four-hour season, there’s a lot to unpack in “Russian Doll,” and it’s perhaps best to start with the ending and work backward. So for those who’ve binged the series, proceed as normal — for those who haven’t, make sure to dissect the doll yourself before taking a look at the following perusal. Meanwhile, Alan keeps getting dumped by his girlfriend, plays the victim, and drowns in self-pity. He’s trapped in a cage of his own making, as is she, and the universe has tossed them into a cycle of second, third, and 12th chances to see if they can help each other find the key. By the last episode — when Nadia pulls a 180-degree flip and greets her party guests with sincere joy and excitement instead of disinterest bordering on disdain — it’s evident her key is other people, that she needs people, and she needs to know she needs people. Recognizing as much is part of what drives her out of a literal and figurative self-destructive spiral. Living her old life — acting completely on her own impulses while pushing away anyone who cares about her — actually killed her. It killed her so many times that it took more than a dozen repetitions for her to realize she needed to ask for help. Alan also refused to ask for help, but in a more literal fashion. Suffering from undiagnosed OCD and plagued by control issues in general, Alan didn’t want to see a doctor. He says midway through the series that his greatest fear is being labeled “crazy,” so he runs away from anyone who might confirm his suspicions. That means he doesn’t ask for help, instead driving straight ahead with whatever he thinks is the “right” thing to do, and the guilt of not being rewarded for his good behavior eventually pushes him to suicide. That does the trick, and it’s a big moment for Nadia, too, considering how stubbornly isolated she used to make herself. In Episode 7, “The Way Out,” when Nadia pushes back on addressing her childhood issues with her mom, Alan says, “You are the most selfish person I’ve ever meet. Thank you for changing my life. Lives are hard to change.” Lives are hard to change, and this crazy “Groundhog Day”-esque experience is what it takes for each of them to do just that. All this is to credit the writers — Headland, Lyonne, Poehler, Allison Silverman, Flora Birnbaum, Jocelyn Bioh, and Cirocco Dunlap — for not only crafting such challenging material that doesn’t condescend to the audience, but for daring to explore the big questions about happiness and depression with honesty and courage. It would’ve been far easier to send these two dancing off into the sunset, all their problems solved, but it’s far more penetrating to see them struggling; a tear in their eye as they walk bravely into a scary, but precious future. 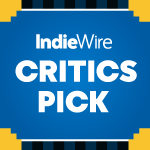 There’s much more to appreciate about this quick hit of brilliance, from the leads’ soulful performances to the edgy, adventurous direction, but “Russian Doll” must be treated like its namesake. Unpacking it over and over again will reveal fresh insights. Each piece is worth admiring for different reasons, and each episode offers its own rewards. We’ll be talking about this first season for quite some time, so don’t forget to take a moment and appreciate how well it all comes together. Hell, just appreciate that Headland, Lyonne, and Poehler told their story in eight episodes that never run longer than 29 minutes. Great things come in small packages, and this marvelous matryoshka is no different.